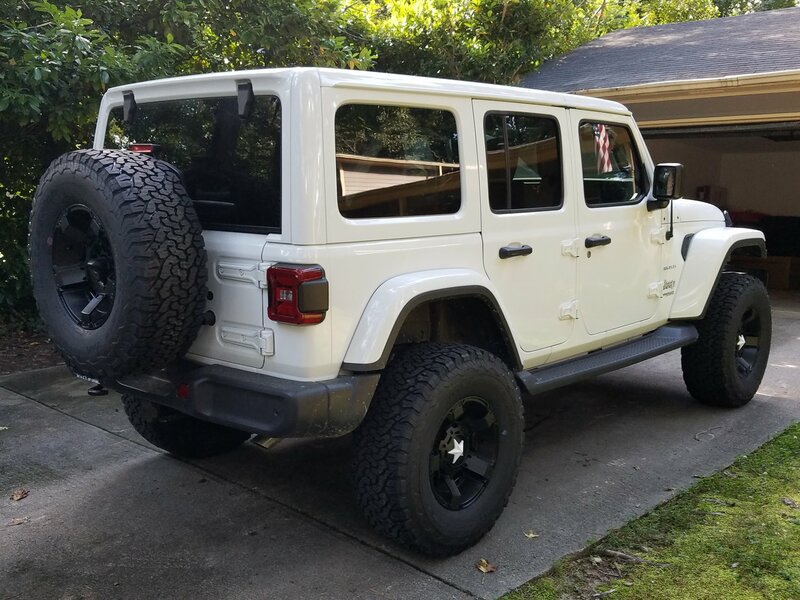 Your Jeep JL Wrangler looks great in your driveway. But you know what would make it look even better? A 2 inch Mopar lift kit. 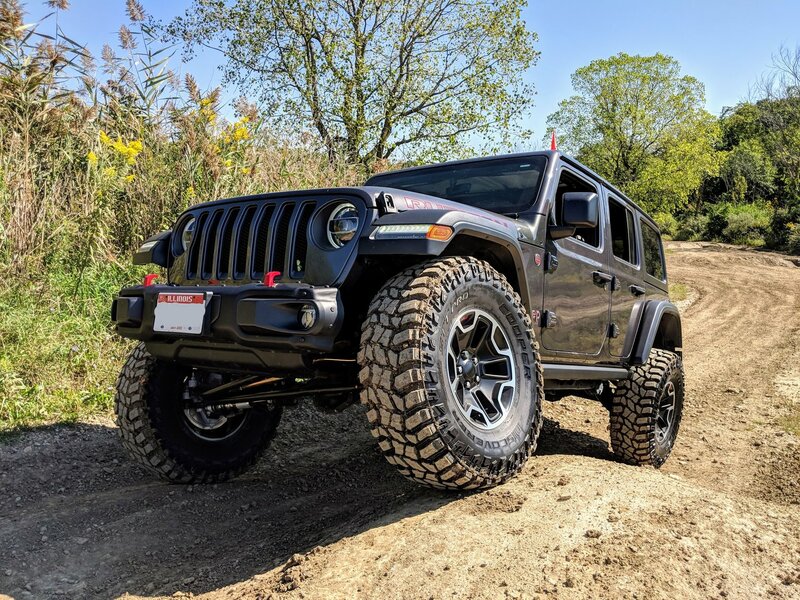 This thing will completely transform the performance and look of your Wrangler JL 4-Door — all while making you love driving the vehicle even more. 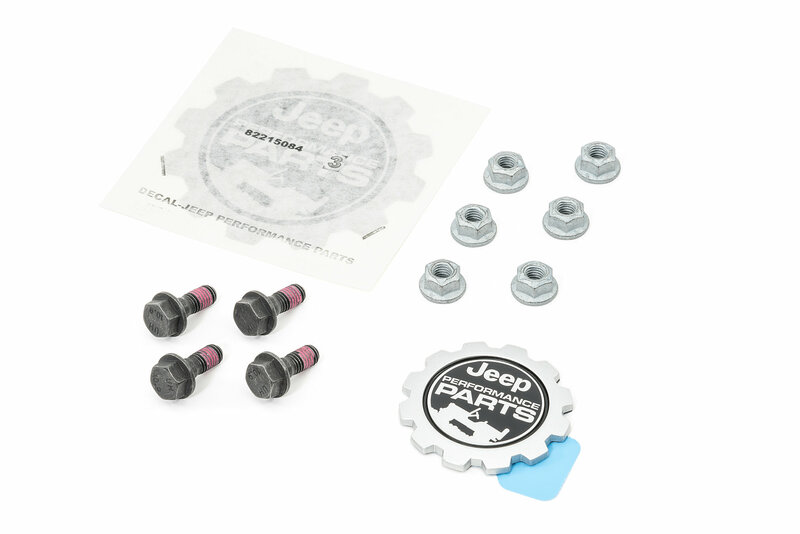 This carefully designed kit has been put together and engineered exclusively by Jeep Performance Parts engineers (a division of Mopar) to ensure each component will work perfectly on your Jeep. 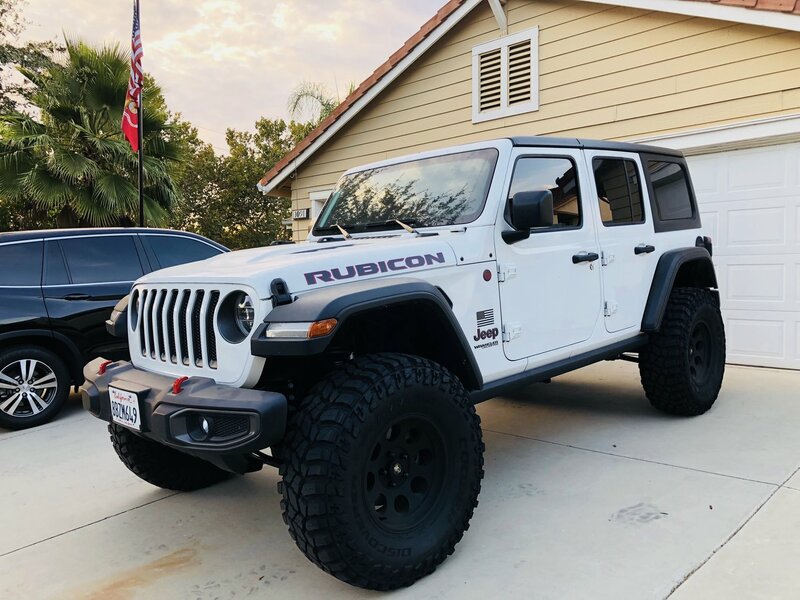 When installed, this 2" lift will accommodate up to 35" tires with standard flares on Sport or Sahara editions, or 37" tires using Rubicon or High Top flares. The longer front control arms will optimize suspension caster and turning for better overall performance on and off-road. The included Fox monotube shocks feature a 2.5 inch diameter aluminum shock body, which will operate cooler and assist tire articulation on the trail. 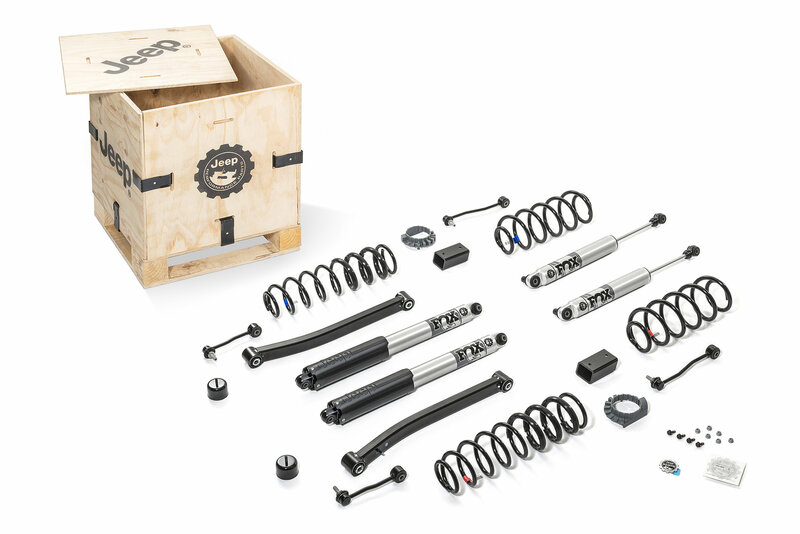 Being a Mopar part, you expect easy installation and that's what you get with this product as it includes all necessary hardware, while no driveshaft or brake line modifications are necessary. 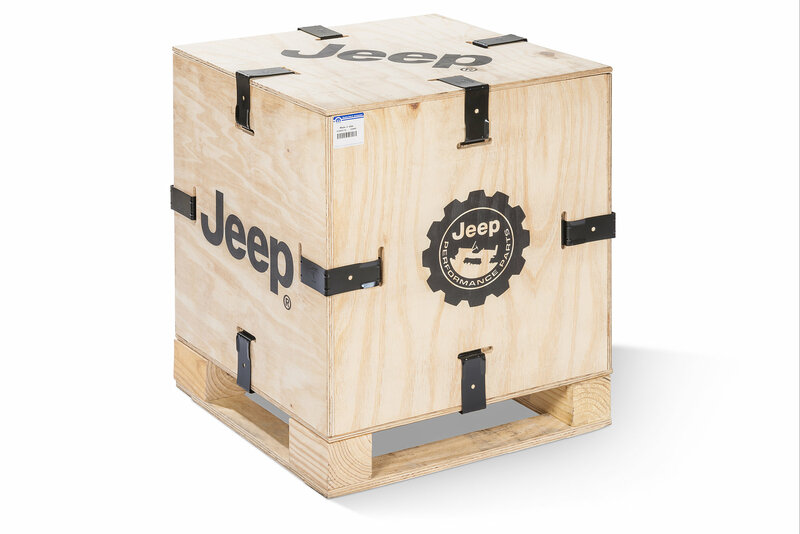 Next Level Capability: This kit has been designed by Jeep engineers to keep the factory feel and characteristics of the original ride with a 2 inch lift! 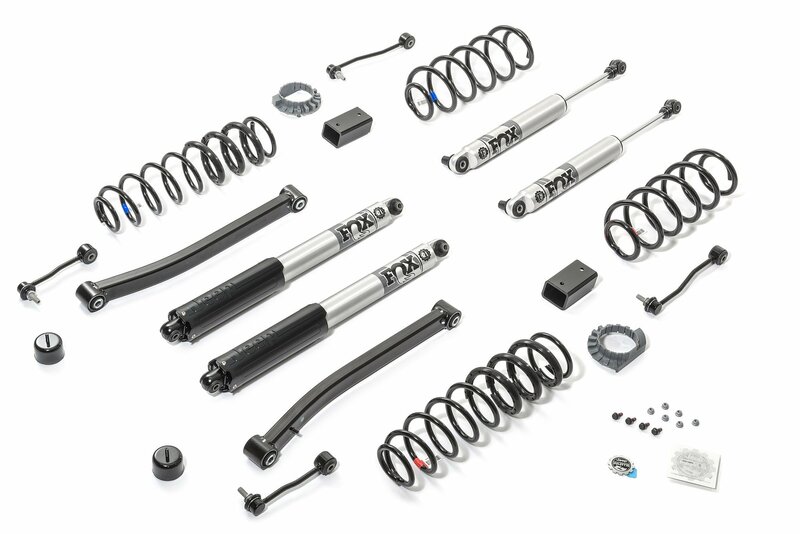 All of the included components have been specifically designed to work together to give the best overall performance on or off-road! Easy Installation: The 2 inch lift kit is designed to install easily, with no modifications to the vehicle. No driveshaft or brake line modifications are required! I was probably one of the first ones to install a 2” Mopar lift which is actually around 2 3/4 which is fine by me. It’s been a year now and I cannot be more happier with the ride quality and the off-road handling the Mopar lift gives you. The only thing I did was use the Rockcrawler isolators, They are thicker and more durable in my opinion and I have no bowing with my front springs. It would have been nice if Mopar would have added an adjustable track bar. As long as you have the red markers on the left side and the blue ones on the right side you’re good to go. I also added half inch TeraFlex spacers in the front in order to level the jeep. In closing, with everything I’ve done with the lift it rides amazing. I’m also on 35’s! 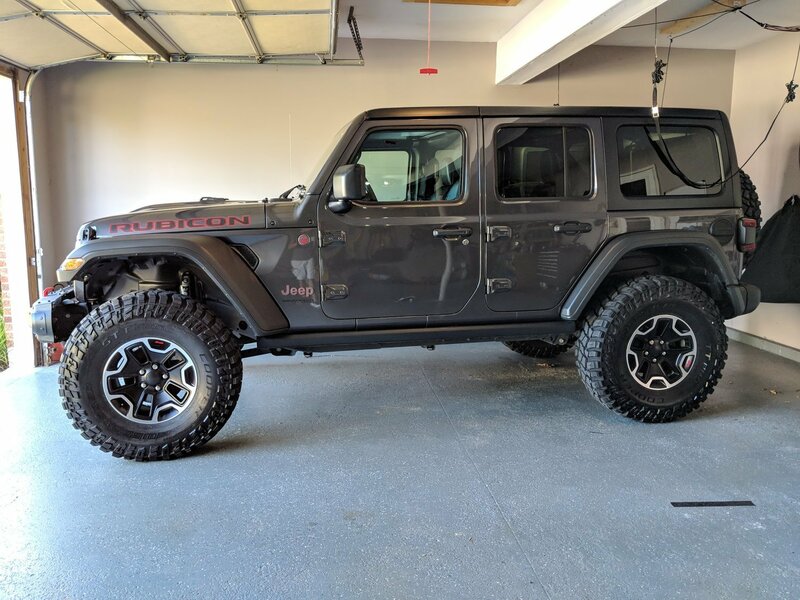 2018 JKU Sport S. This was my first time installing a lift, and I found this to be a good challenge, but fairly easy to install. It took me about 12 hours in my garage by myself, using only hand tools. The only part I needed assistance with was getting the passenger side front coil spring mounted. I highly recommend getting a coil spring compressor to pop in the new coils. The instructions were easy to follow and clear. All required hardware came with the kit. 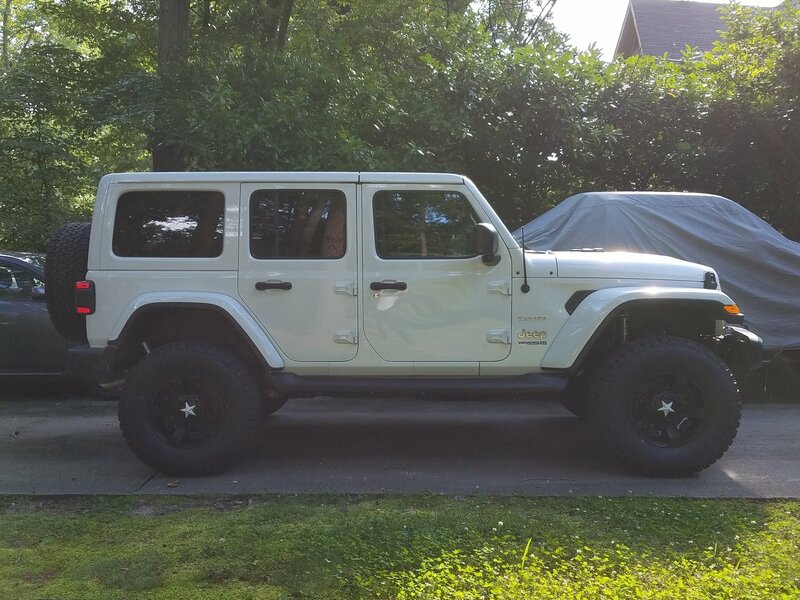 Pre-lift condition of the vehicle: I had 35" tires mounted (the pre-lift measurement from top of tire to fender was 2.5" front and 3.5" rear). I also had a steel front bumper and winch installed. I added 3/4" coil spacers to the front coils while doing this lift to compensate for my heavier bumper and winch. Post-lift measurement from top of tire to fender is 7-3/8" front and 7-1/4" rear. I took the Jeep in for an alignment after the lift and they corrected the toe-in by about .2 degrees. The handling, combined with larger tires, is much different than stock. It's not bad to me, but you definitely feel the difference. I took off one star because the lift is much higher than expected. Some would call this a positive, but it affects the ride more than I was expecting.